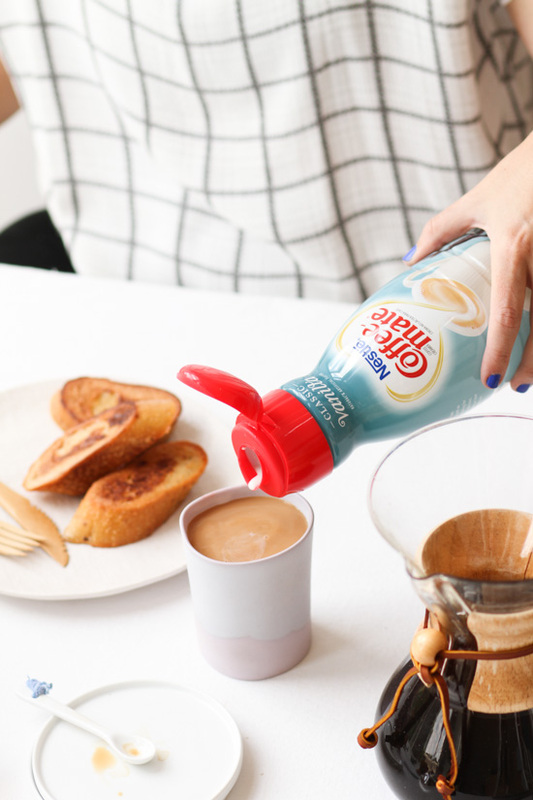 Breakfast just got a little bit easier with today’s breakfast of champions recipe. Because it’s on a stick! I am a little bit of a french toast snob. 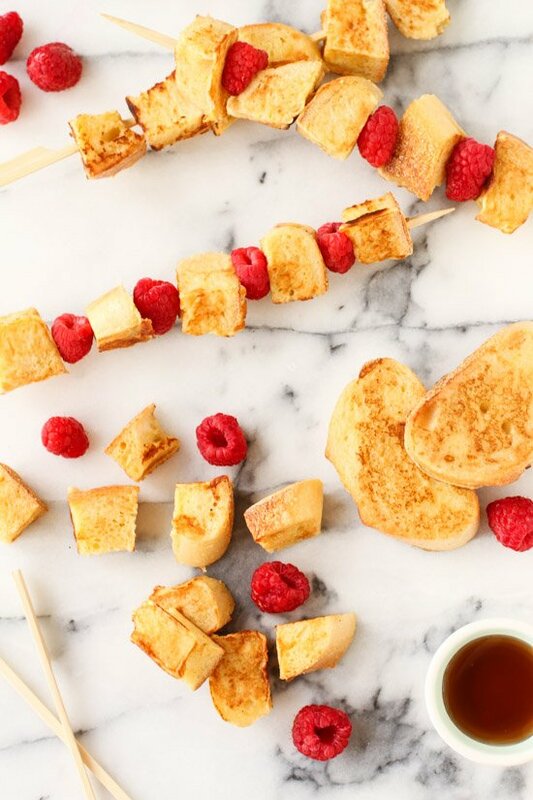 And I can tell you with 100% certainty that these french toast kabobs are where it’s at. 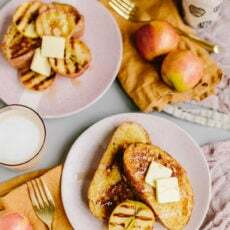 I think I like them even more than this french toast recipe, which I was pretty crazy about. So, I highly recommend giving this a try. Plus, they’re on a stick, which automatically makes them a little bit more fun and/or a pretty good candidate for an on the go meal. 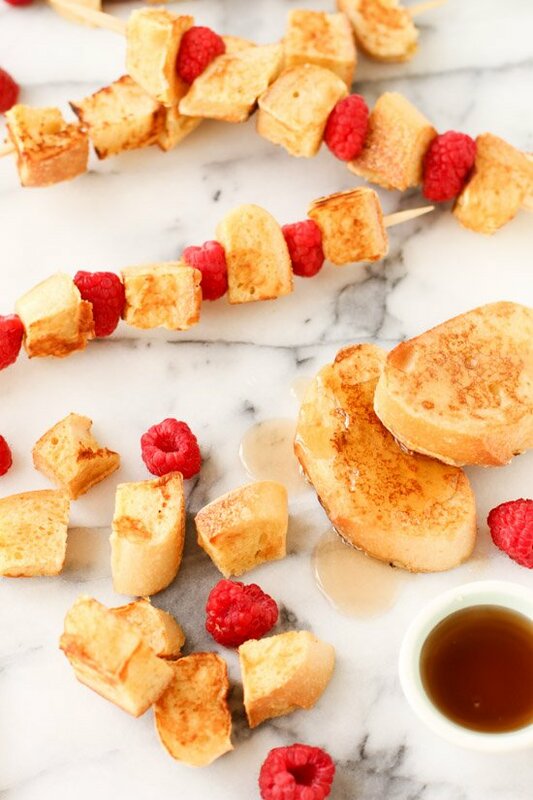 Start with slightly stale bread cubes. This can be done two ways: leaving the slices out the night before or toasting in the oven at 200 degrees Fahrenheit for 15 minutes. In a large bowl, whisk together the eggs, milk, cream, sugar, vanilla, lemon extract, and salt. While stirring, gradually sift the flour into the egg mixture. Add a third of the bread cubes to the egg mixture and let them sit for 5 minutes. Remove the bread cubes from the bowl, letting any excess egg drip back into the bowl. Cook the bread cubes until the sides are golden brown. Transfer the cubes to the baking sheet and bake them for 10 minutes in the oven to ensure they are cooked through. Repeat with remaining bread cubes until finished. 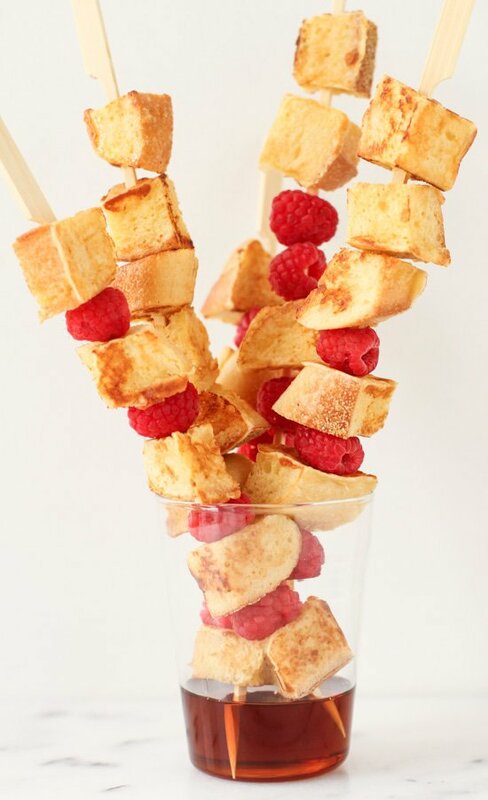 Then, add french toast cubes to skewers with fresh fruit and you’re done. Breakfast on the go! 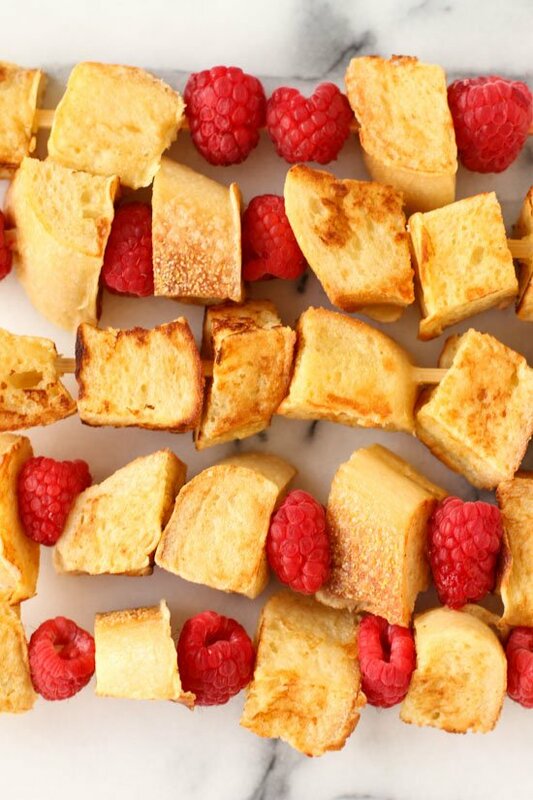 Think you’ll give these french toast kabobs a try? This looks like a perfect breakfast on the go to me! Mouth-watering! I guess it works with mini pancakes as well, right? 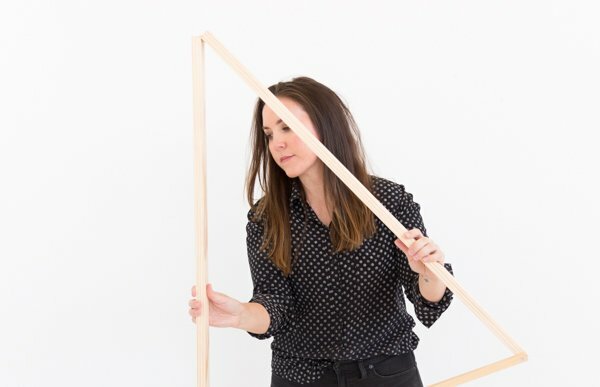 Hi Michelle. 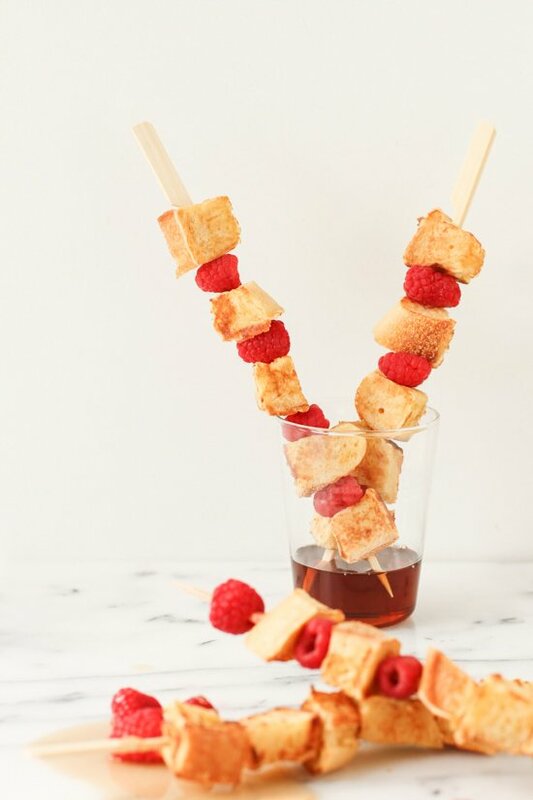 Yep, you could totally do pancake kabobs (or even waffles) too. These just look so fun to eat and super easy! 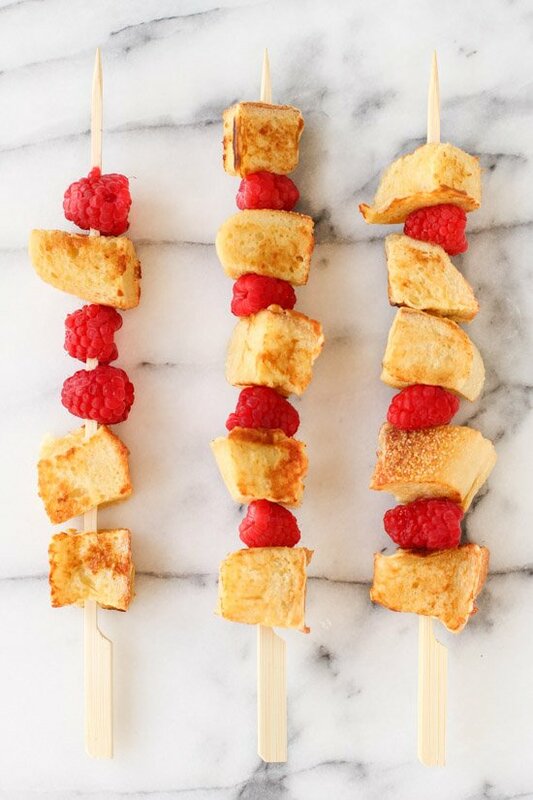 Oh yes, food is always better on a stick!!! YUM!!! This is such a fun idea! I’ve been having such a strong craving for french toast lately, so I’ll have to try this out one of these days. Thanks for sharing! 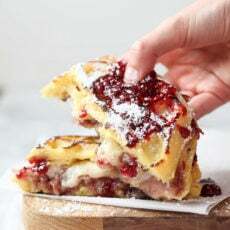 I love French toast, I’m definitely gonna try this! These are my kind of Kabobbs! They look delicious! This looks amazing. What a fun and cute idea. Ah, this looks delicious! Great idea! These look delish!! Perfect for a Sunday morning when we’re in a rush to get to the market – just take them in the car! Very hungry looking at these! !